LR series laser rangefinders are portable long distance measurement tools. They are portable and ergonomically designed with high accuracy for a wide range of applications from leisure to professional. This series of rangefinder features a ranging distance of 600/800/1000/1200/1500 meters with 6X magnification, which gives you very close & real feeling to your target. It also can measure the speed of a fast moving target up to 300km/h(only for 1000m/1200m/1500m version). The compact and lightweight design allows you to take it wherever you go, so perfect for golf, hunting, construction survey and design, fire alarm system and exploration. 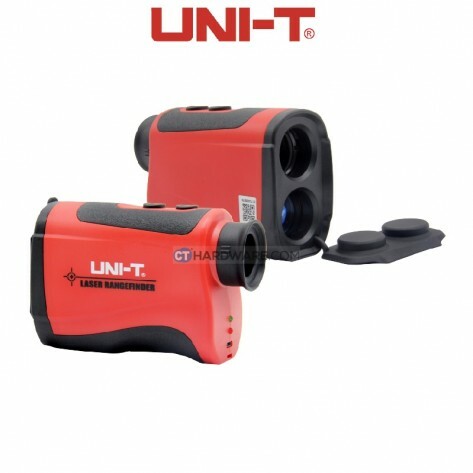 ○ Multi-functional, combining laser range finder and telescope in one. ○ Adopt high definition lens for clear images. ○ The meter can measure the distance of a stationary or slow moving object within measuring range clearly. ○ Compact and lightweight, ergonomic design, portable to carry and use. ○ The high quality 6X monocular eyepiece can be adjusted in focus. ○ With angle range/height/speed measurement functions(ONLY for 1000m/1200m/1500m). ○ Soft rubber cover can effectively protect objective lens from external force impact. ○ Built-in 3.7V 1500mAh Li-ion battery, charged via Micro USB interface. ○ Helpful measurement device for golf, hunting, construction survey and design and exploration, etc. The 600m/800m range finder do not have the following functions: Angle Range/Height/Speed Measurement.